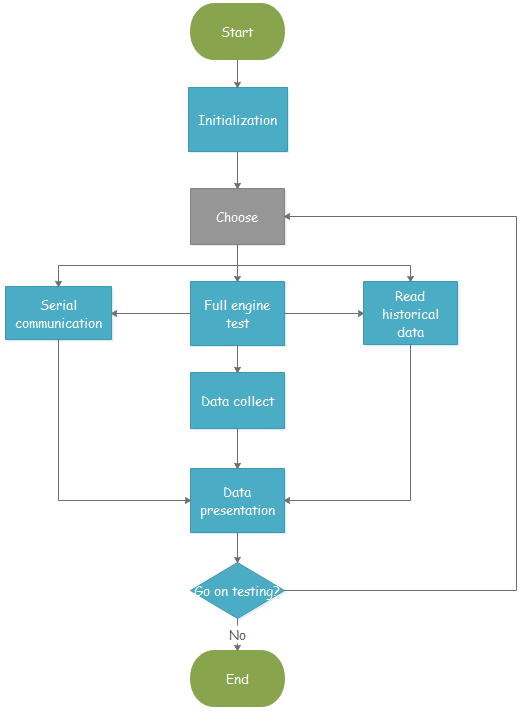 Good program flowchart templates have the power of making complicated things understood without a hitch and attracting people's attention. 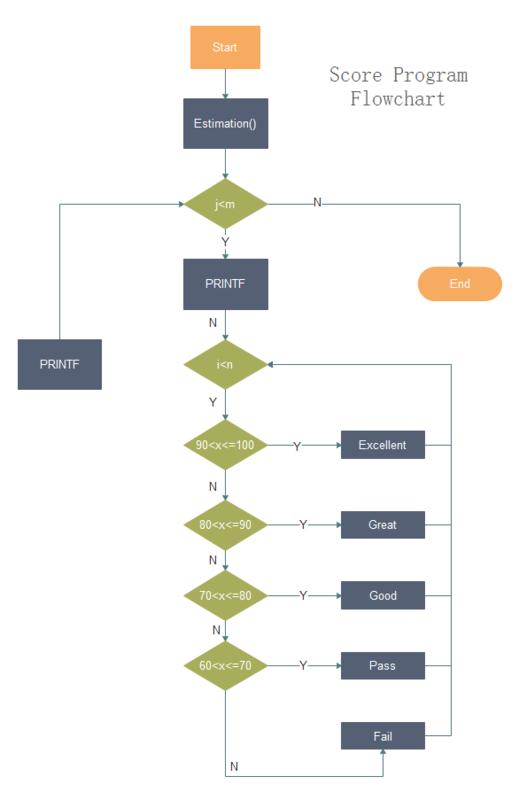 People are looking for all kinds of templates in order to make an an impressive program flowchart easily. But they find that most of available templates on the internet are fixed styles which they can not make changes on them. 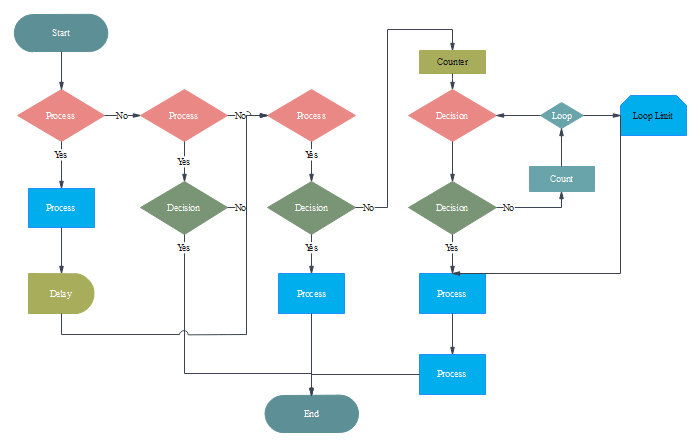 This article will provide a series of customizable program flowchart templates for people in need and also introduce a great tool to help you create a professional and eye-catching program flowchart. 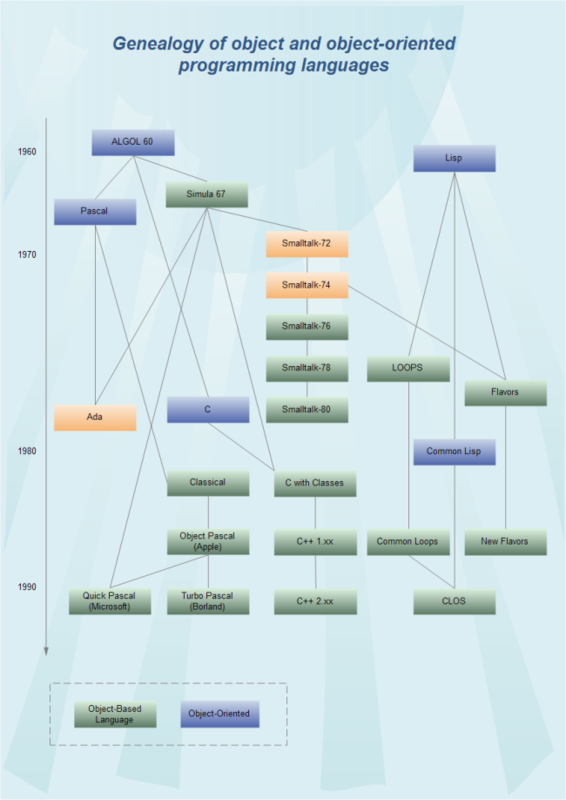 This program flowchart template describes the brief introduction of software development. Simple combination of some symbols and connectors makes intricate process much easy to understand. And this flowchart template is customizable and free to download. You can download it to get a quick start with this template, make some changes to fit your needs or drag-and-drop some ready-made program flowchart symbols to create your own template. Below is a score program template which is usually used to divide the scores into several grades. It is convenient for teachers to rank students in each examination, such as excellent, great, good, pass and fail. 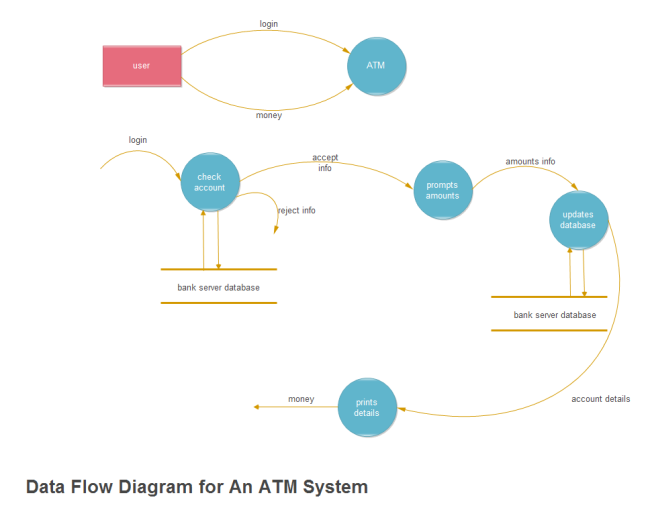 Following template depicts the data flow of ATM system vividly, from users log on the ATM system to users withdraw the money successfully. Even for a person who never uses the ATM system, he can also understand the system easily from this graphic flowchart. 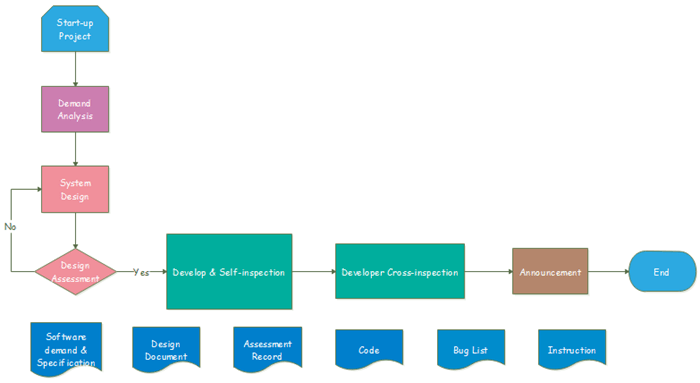 This template shows the change of system in different development stages. Usually starts from investigating the current system and ends up with forming a physical design. 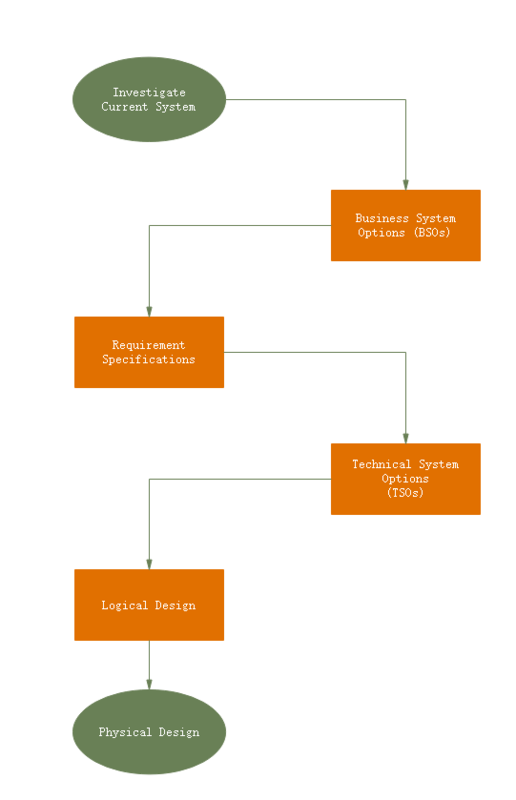 Below is another program flowchart which you can take a look. This is a blank program flowchart template. You can click to download the template and create program flowchart for yourself. 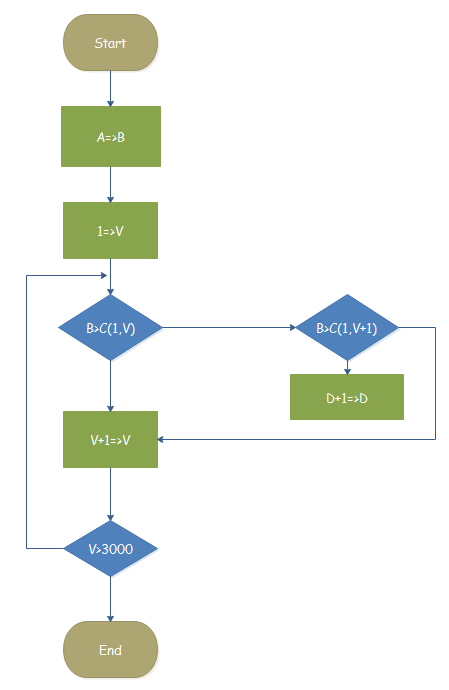 This counting program flowchart describes a complex program process and helps people have a better understanding about this process. This is a template which looks like pretty complicated at the first sight, but when you look at it again you will find that the process gets perspicuous and you clearly comprehend it. Except for above customizable program templates, Edraw is also popular among people for its abundant built-in symbols library. 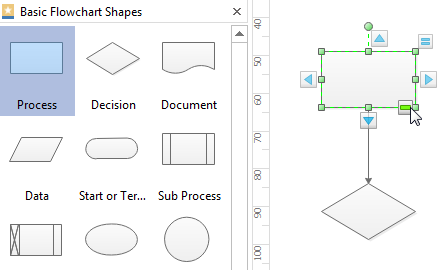 If you do not like existing templates, you just need to drag relevant symbols, drop them on the drawing page, text information in the symbols and connect them with arrows, then a professional program flowchart show in front of you. 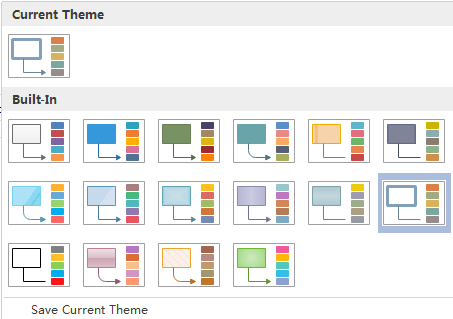 And if you are not satisfied with the color and theme, just change it to choose the one you like. It is very easy to use and requires no drawing skill.